It’s comforting to know that our local “Little-Festival-That-Could” is finally starting to get the recognition it deserves. It’s also comforting to know that the top dogs who are in charge of Treefort Music Fest are still continuing to spearhead what Uproxx called “the change that needs to occur.” On top of having an incredibly diverse roster this year when it comes to race and gender and sound, they knew that that wasn’t enough. 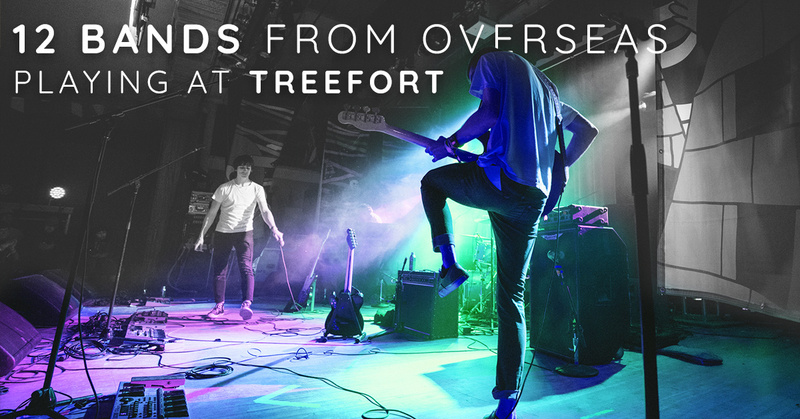 The world is full of amazing musicians who warrant your time with their music, and Treefort knows this — which is why they’ve flown over a large selection of artists from a multitude of different countries. “‘Komorebi’ (Japanese for sunlight that filters through tree leaves) is a unique Electronic-Alternative Act from New Delhi, India and the musical baby of Tarana Marwah, Indian composer, singer producer and instrumentalist. Inspired by scores from anime and chip tune music she heard as a kid, the music is whimsical, orchestral and celestial. “ORUÃ is a child of downtown, was born at night and attends the balls at dawn. The latest music project by Lê Almeida, one of the most important Indie rock artists from South America to be discovered, this time accompanied by João Luiz and Phill Fernandes. “There’s much more to Shiba San than what meets the first listen. Leaving behind a 15-year long career of production experience in the French hip-hop scene, the Parisian producer became fascinated with the sounds of Chicago house and was inspired to create his own productions, infusing his hip-hop influence with the soul of house music. 2018 Boise River Float Season is Here!